Samsung announced the Galaxy Buds during the February Samsung Unpacked event. Equipped with Bluetooth 5.0, Samsung aims to give its phone users, especially those on the latest flagship a near-seamless listening experience similar to what arch-rival Apple gives its users. I finally had my hands on the buds somewhere last week and I must admit it has been such a pleasant experience. Without wasting much time on superfluous details, let me get right to my experience of the buds as an average consumer looking for a rich listening experience. When you open the buds you are greeted with the accessories and buds in its case. The buds come fitted with accessories such as a Type C cable and various ear tips you can switch to depending of the size of your ear. 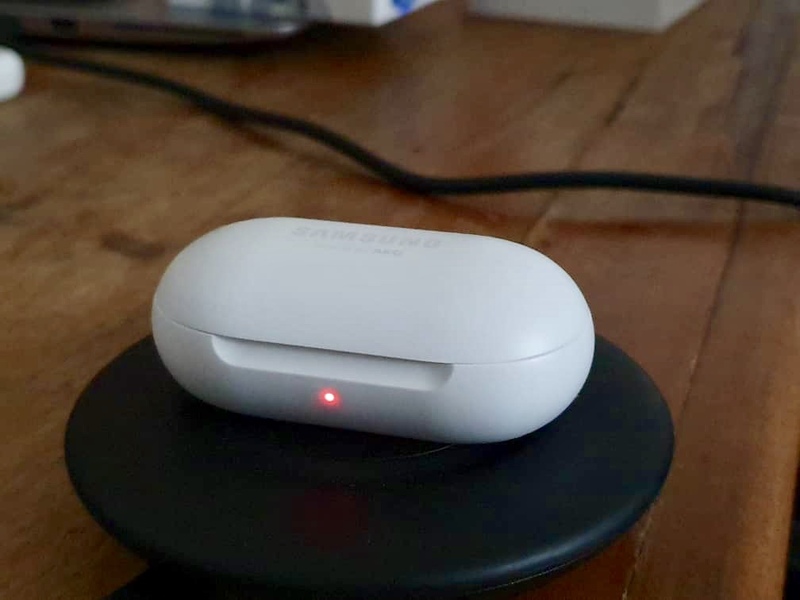 The case supports Qi wireless charging so I placed it on my wireless charger pad and the LED indicator lid. This also means that phones that have reverse wireless charging such as the Huawei Mate 20 Pro and the Samsung Galaxy S10 can charge it. Setting up the buds with the S10 is simple and very fast. I updated the Galaxy Wear app on my phone, popped open the charger case and bam! it began connecting to the phone. It was very seamless and fast. The next step after connecting was to run through various quick controls such as Play / Pause controls and so on. 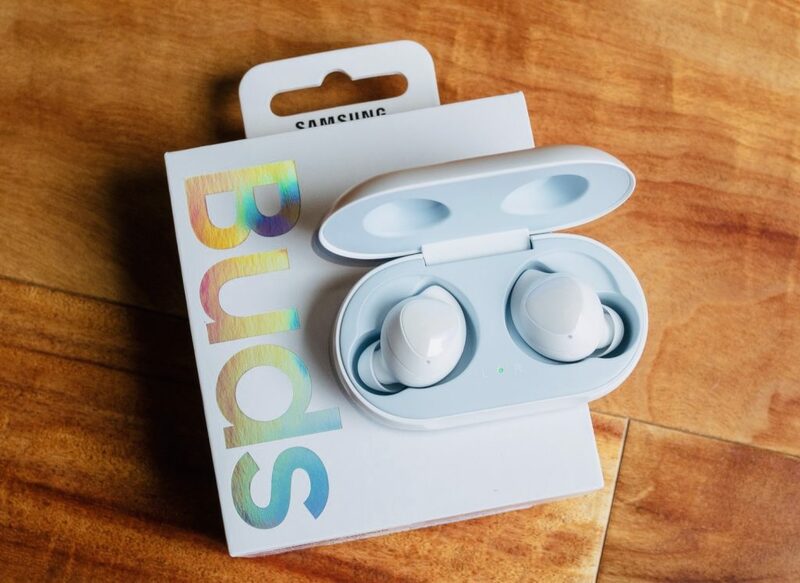 The tip and design of the buds makes it very comfortable to fit in the ear. 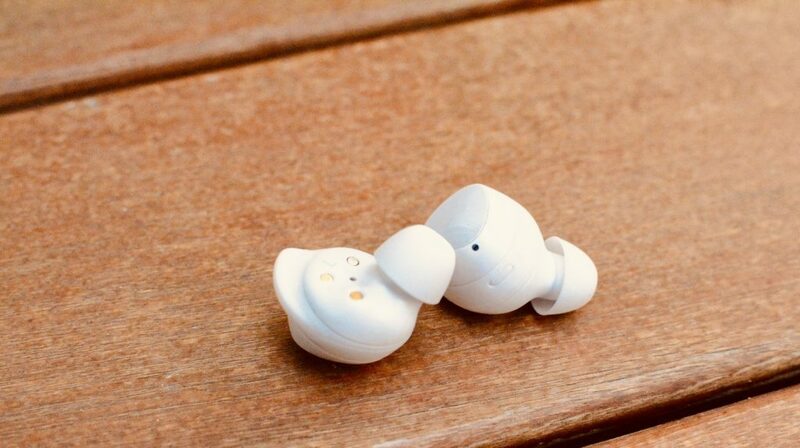 This is a subjective opinion but unlike the Huawei FreeBuds or AirPods, they do not look awkward in your ear. Even shaking my head vigorously and random movements didn’t cause the buds to get dislodged my ears. They are also sweat resistant so rest assured that gyming and working out with the buds will not damage it. The real deal! The buds could be the most aesthetically pleasing thing in the world but everything depends on whether or not the buds sound good. I tested this on the Samsung Galaxy S10 and Apple iPhone X. 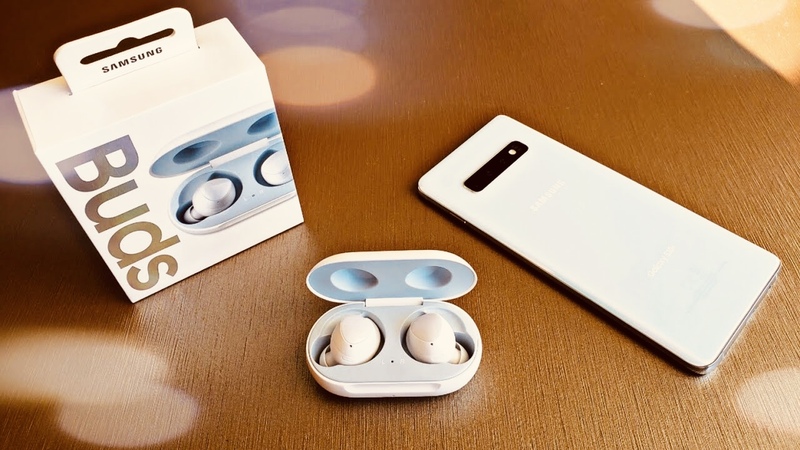 On the S10, the Galaxy Buds sounded very good and carried a rich and balanced sound. The buds were tested to various genres of music and it always highlighted a well-balanced treble and bass sound with more focus on surround. Music that had more focus on vocals were well amplified with the buds. Also with the Equalization settings built within the Galaxy Wear app, there was more room for toggling and customizing the sound to my taste. This is not to say that the default settings are half as bad either. Overall, AKG did a splendid job with their tuning. On the iPhone X, sound was equally great but sadly, and as expected, it didn’t come with the EQ and effects in the Samsung Wear app. However, like I mentioned earlier, with the great tuning AKG did, you don’t really miss out on the EQ that much. This is one of the features of the Galaxy Buds that makes it stand out to me. Noise-cancelling earphones are fantastic but I sometimes want to be aware of my surroundings because I like to listen to music while I move. While listening to music on the Galaxy Buds, you can touch and hold the left bud and it activates this feature which allows you to listen to everything going on around you. I think it is a great safety feature with the buds. Touching and holding the right bud (as in, the bud in your right ear, lol) activates this feature. With this, you get to summon Bixby, Samsung’s attempt at a voice assistant or surprisingly, the Google Assistant. Have you used the Galaxy Buds yet? Do you agree or disagree with my opinions? Let’s get interactive! Great review. You did not talk about important aspect (or maybe I missed). Cost!!! How does it it compete with others on price?